Because The Fantastic Four reboot and X-Men are both housed at 20th Century Fox, many fans believe a crossover between the two franchises is imminent. X-Men: Days of Future Past producer and writer Simon Kinberg thinks otherwise, and while promoting this latest mutant sequel, dashed any hoped that we'd be seeing Mr. Fantastic and Wolverine crossing paths anytime soon. Talking with ScreenCrush, Simon Kinberg explained why it didn't make sense for these two superhero teams to cross paths. "Well, it's complicated. Because none of the X-Men movies have acknowledged the notion of a sort of superhero team - The Fantastic Four. And the The Fantastic Four acquire powers, so for them to live in a world where mutants are prevalent is kind of complicated, because you're like, "Oh, you're just a mutant." Like, "What's so fantastic about you?" Right, right. Exactly, "So, I guess we'll go to school now. We'll go to Xavier's school." No, it is, they live in discrete universes." Simon Kinberg also talked about the differences between rebooting The Fantastic Four, which comes after two movies that didn't register well with critics or fans, and The Amazing Spider-Man, which had to follow the beloved Sam Raimi trilogy. "I guess I'll say this: People have a very different relationship to The Fantastic Four movies than they had to Raimi's Spider-Man movies. And Raimi's Spider-Man movies - and that first Spider-Man movie - is a beloved movie that sort of redefined, tonally, sort of what comic book movies could do. There had been other superhero movies, like X-Men but Raimi's Spider-Man had a joyfulness to it that was unique, I think, to the genre. So, rebooting a movie that was beloved less than ten years after it had come out is challenging. So, we approach The Fantastic Four with a different set of challenges." He also touched a little bit on bringing Dr. Doom back to the big screen for a second time. "I think he's a similar character to a Magneto or Darth Vader, where you can see the end darkness to the characters so that you have an understanding of why he does certain things." 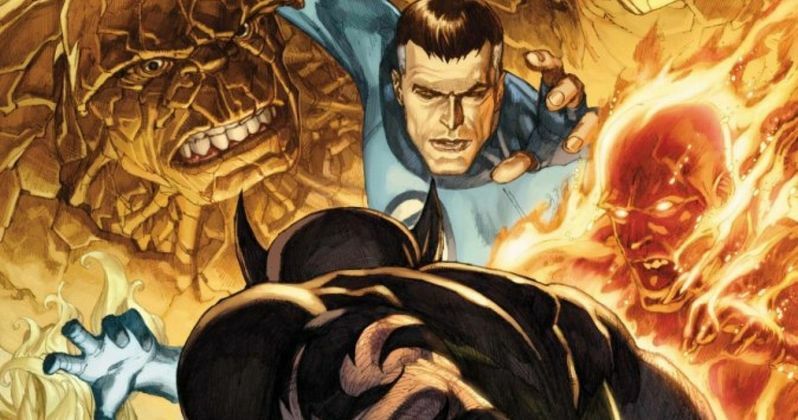 Finally, Simon Kinberg talked about the tone of the new The Fantastic Four, and what we can expect to see on screen. "I can tell you this: Our version, The Fantastic Four movie we're making differs than those other films. And I think where it starts - and where I think superhero movies define themselves - is not in plot and character, but in tone. And the tone of our The Fantastic Four movie is so different than those other films. And I actually think, more importantly, different from other superhero movies. It's like, there's a spectrum, tonally, from like Raimi's Spider-Man to Josh Trank's Chronicle movie. We're on the spectrum, but between those two movies. And I would say, I don't know where the needle turns, but we are in-between those films. On the other side of Chronicle is probably like, X-Men is around there with the darkness. And then The Dark Knight is the darkest. And on the other side is Spider-Man - the original Fantastic Four movies are probably on the other side of the goofiness. So, we're somewhere in-between the joyfulness of Raimi's Spider-Man movies and the reality and drama of Josh Trank's Chronicle."